Mammograms: What is the Controversy around Breast Cancer? Do mammograms properly screen for breast cancer? Is breast cancer screening really effective? Is mammography scientifically validated? What is the controversy about? Common sense dictates that discovering a tumor sooner should save lives, reducing mortality. With mammography, though, there are questions about whether screening does more harm than good in certain populations and at certain ages. Mammograms are used to try to detect breast cancer in women who have no signs or symptoms of the disease. Screening mammograms typically involve two x-ray images of each breast. They help make it possible to detect tumors that cannot be felt manually, which is notoriously ineffective. Screening mammograms can also find microcalcifications (tiny deposits of calcium) that sometimes indicate the presence of breast cancer. A modern innovation is 3D digital mammography. This involves a higher X-ray dose and recording images digitally rather than using photographic film. Digital enhancement conceivably might pick up more abnormalities. However, proper validation of the technique is still not complete. To start, when there is breast cancer in either a mother or sister, or a BRCA2 positive gene, screening mammograms should be begun at even a young age. This is not controversial at all! Otherwise, most professional (admittedly conservative) organizations recommend mammograms every two years between age 40 and 70. This includes The American Cancer Society, the National Comprehensive Cancer Network, and the American College of Radiology. However, a recent report as of 12 Oct 2016 by the U.S. Preventive Task Force recommends mammograms every two years after age 50 instead of age 40. They contend that there is no particular benefit between 40 and 50 to regular mammograms in non high-risk cases. First of all, a big problem with screening is that cancers can be different, one from another. Many, especially ductal carcinoma in situ (DCIS), are often just incidental — they just sit there and do nothing for the rest of the patient’s life. This is similar to the prostate cancer story reported in my prostate cancer blog.On the other hand, some small percentage of these become fast-growing and aggressive, which can be fatal. So doctors treat all of them as if they are the aggressive type. Even other cancers can be either indolent or fast-growing. Mammographic screening will pick up a high percentage of indolent types because they are just sitting there and growing slowly. On the other hand, screening will miss a high percentage of fast-growing cancers because of their speed! Lead-time bias: “Suppose a screening mammogram detects a tumor in a 50-year-old woman. Had she not been screened the tumor might have become symptomatic at age 55, say. The lead time due to screening is 5 years. She would have lived for 5 years longer with her cancer had she been screened, even with no screening benefit. “ In this case, a mammogram has no effect on outcomes. Furthermore, randomization is important to help eliminate bias. To do this as true science, one population would not be screened while another is screened, and then mortality rates would be compared. Actually, this has been done in Europe, but only long ago. The problem is that they were done before modern chemotherapy and radiotherapy, so mortality rates are no longer valid. Modern studies have been done in HMO communities to try to estimate effectiveness of mammographic screening. A 2009 U.S. Preventive Services Task Force (USPSTF) publication concluded that the “’number needed to invite for screening to extend one woman’s life’ [is] 1904 for women aged 40 to 49 years and 1339 for women aged 50 to 59 years.” This represents a huge effort to find a growth that in itself may not be a threat because we don’t have a way to identify slow-growing tumors vs aggressive ones. As a result, over-diagnosis becomes an issues. False positives represent 25% over a 10 year span and as much as 50% when done for 20 yrs. In other words, this is the chance of having a false positive diagnosis once in 10 or 20 yrs. One study found that “three months after they had false positive results on mammography, 47 percent of women who had highly suspicious readings reported that they had substantial anxiety related to the mammogram, 41 percent reported that they had worries about breast cancer, 26 percent reported that the worry affected their daily mood, and 17 percent reported that it affected their daily function.” In Norway, “18 months after screening mammography, 29 percent of women with false positive results reported anxiety about breast cancer, as compared with 13 percent of women with negative results.” Two studies in Britain also found that women with false positive mammograms had more anxiety than those with normal mammograms. Basically, mammographic screening is neither foolproof nor reliable. However, breast cancer is still the second most common killer of women, and screening probably has some hard-to-measure benefit. It is also true that false positives are quite a burden on mood and physical discomfort due to biopsies and other procedures. On balance, for women with high risk because of genetic markers and/or mother or sister with breast cancer, mammography should begin at a young age. 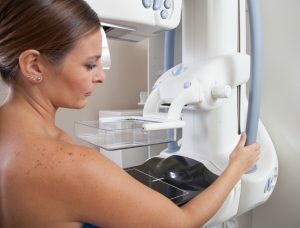 Otherwise, it is probably reasonable to initiate mammography at age 50 until 70 or 75, at the rate of every two years. Remember also: This site is not merely informational. It can actually be used to treat acute ailments. At this season, you may want to check out the influenza module. There, you will answer some individualizing questions, then play the uniquely chosen MP3 eRemedy DIRECTLY on your cellphone to get rapid relief, typically within minutes or perhaps a few hours! There are many other modules as well, listed on the Ailments tab. Finally, share with others who probably suffer the same thing! No, laser hair removal does not interfere with homeopathy. No, homeopathy is not effective for contraception; it cures illness, while fertility is a natural healthy process.